Having failed miserably to organise a visit to Dungeness Power Station during our summer break, when I read about Electric Mountain I found a way to redeem myself. I knew this would be right up Son’s street so got my planning cap on and sorted a trip there. 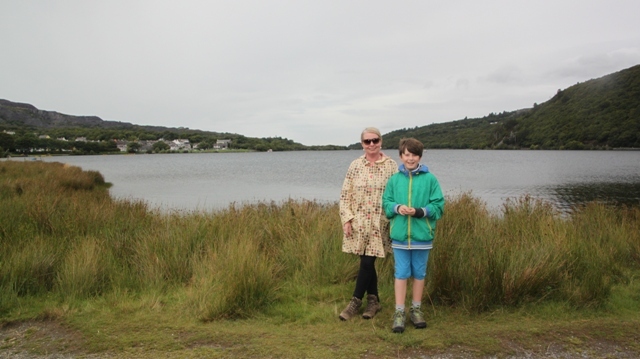 We booked our tour on-line through their website about a week in advance, I had learned my lesson – this drive to Snowdonia would not be in vain. On a rainy Saturday off we set. Electric Mountain is a hydroelectric power plant with a difference. 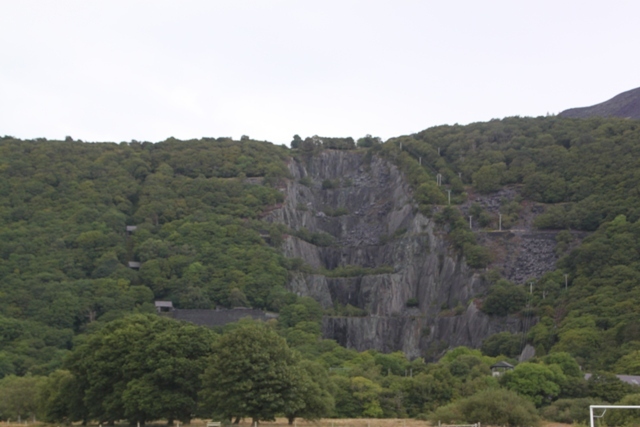 To avoid spoiling the great natural beauty of this little corner of North Wales, they decided to build it deep inside a mountain. The result is a cavernous chamber and vast tunnels carved deep underground. This is Europe’s largest man-made cave, big enough to house St Paul’s Cathedral and reason enough surely to visit, even if hydro-electric power stations are not your thing. 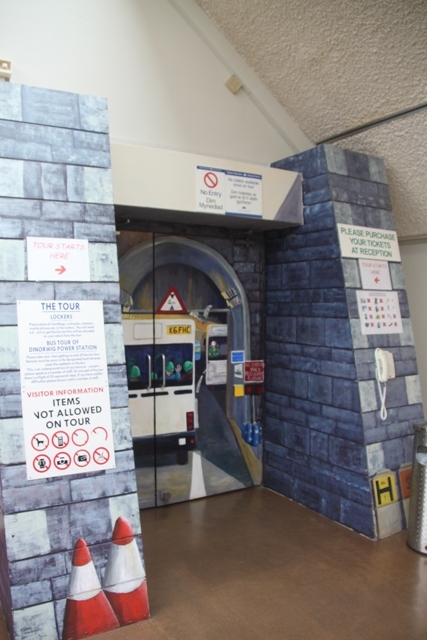 We parked up and went inside the free to enter visitor centre in Llanberis. A café, shop and some information about the power station, we arrived half an hour before our tour was scheduled to leave. That was plenty of time, a few hands-on science exhibits kept Son occupied but we didn’t need any longer. Our tour started with a short film about the plant and how it came about. 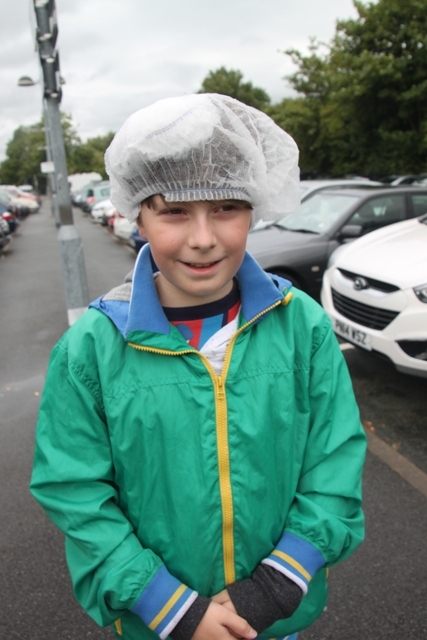 The group was ushered downstairs, given fetching hairnets to don and told to put all bags, cameras, phones etc. in a locker to await our return. You are not allowed to wear open-toed shoes either – lots of health and safety going on here – we were in walking boots so all was well. Onto a bus for the short journey, our guide told us a bit about the power station. We left the main road, passed through a series of security barriers and started our journey into the bowels of the mountain. A bit spooky and a weird feeling, Son remarked it was like we were entering the world of James Bond. The plant’s primary purpose is to cater for surges in the UK National Grid. At peak output it can power the whole of Wales. They can power up to full capacity in four seconds here, a conventional power station needs four hours. These kind of statistics appealed to my inner nerd, Husband and Son had their own fascination with the machinery and mechanics. We got up close to much of it, super noisy but they were enthralled. One final film inside the mountain, then we boarded our little bus to return to the visitor centre. Husband and Son adored the whole experience. I enjoyed it, maybe a bit less than them…. 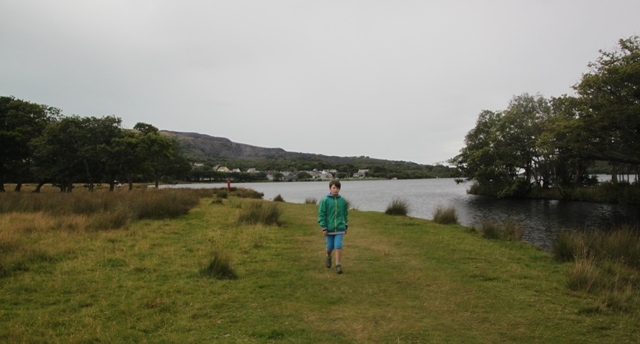 What I did love though was the setting – right on the edge of Snowdonia National Park, surrounded by mountains and gorgeous scenery, we walked and explored the area, quite an intriguing feeling looking at the mountain and knowing we’d been right inside. That’s a different and interesting experience. How long has it been there? It really was George, a power station inside a mountain is not something you come across every day!! It opened in the 1980’s so has been going for a while now. I love that the landscape stays the same, you’d never realise unless you knew what was inside that mountain. That was equally impressive, that the landscape of the area didn’t seem like it was disturbed at all. A trip to a power station! What an original idea. Looks like everyone had a good time too. It was fascinating, not totally my kind of thing but I did enjoy the uniqueness of it all. My husband and son needless to say were enthralled by all that machinery!! I remember going there some time ago, it’s a really interesting day out, and I enjoyed reading your post on it. Thank you – it is fascinating isn’t it, just the experience of visiting a power station inside a mountain is quite surreal and worth if for that alone! Fascinating Joy! 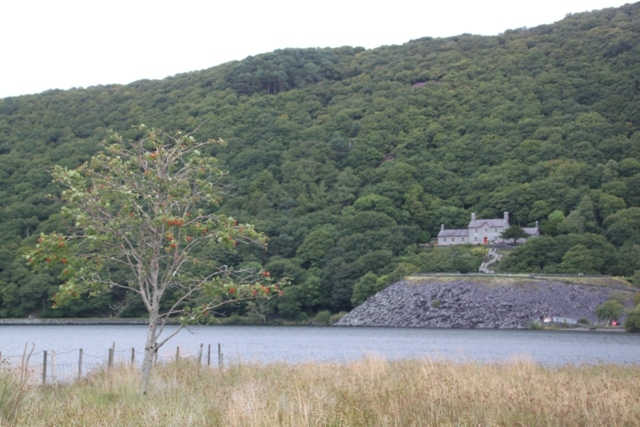 I’ve been to the Snowdonia region before but never here – not sure how long it’s been around though? What an amazing experience – I’m not really much of a scientist but this would have been very interesting and set in beautiful countryside too! I’m sure your husband and son had a field day! Apparently it was opened in 1984 by Prince Charles – though I must admit I stumbled upon a leaflet at a motorway station and had never heard anything about it either before this Rosemary. It was so interesting, not so much my thing but I loved the strangeness of visiting a power station in the mountain. The machinery doesn’t really do it for me but the gents in the family were beside themselves!! Next time we’re over there (assuming we ever make it over there again), we’ll have to check that out! It is intriguing for sure, going inside a mountain to see a power station not something you get to do every day!! Definitely try it out when you come back. Interesting post. 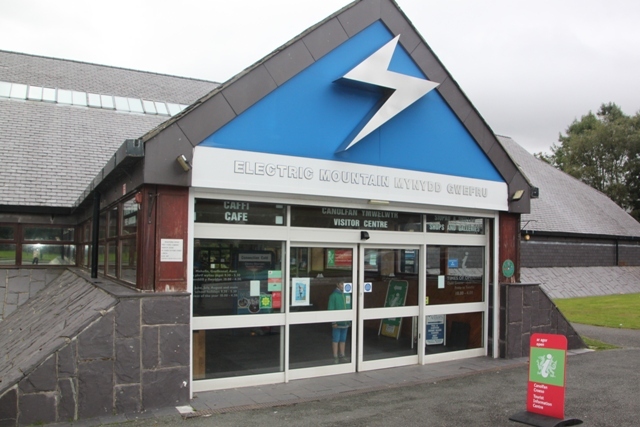 I had no idea there was one of these in Snowdonia. We had a similar experience at Cruachan, another power station inside the mountain that was near where we used to live in Argyll. The Pict menfolk loved it – the engineering and supervillain’s lair elements – where I was more meh about the whole thing, impressed but not that engaged. I was more interested in hiking up to the dam above the mountain. I’m with you totally on that Laura, guess it’s a male thing!! The scenery did it for me really. Considering that my husband is a power engineer, this is going on our list for a future trip!! Oh he would be in his element here – you must go!! I was going to mention Ben Cruachan, but see someone else already has! It dates from the 60s I think. I’ve been once, but at least 20 years ago and don’t feel particularly moved to go back. My husband is an engineer so he’d love Electric Mountain. Maybe I won’t tell him about it……. Don’t tell him Anabel!! I enjoyed the day out and experience, like you wouldn’t feel the desire to visit. The men in the family however…. different story, they’d go back tomorrow!! 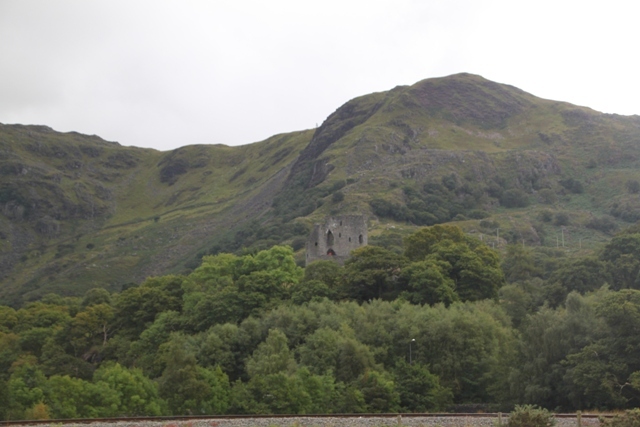 Thank you – didn’t know what the castle was called!! It’s definitely worth a visit if you’re in the area, very interesting and plenty to take in. Did you see the plaque which commemorates the filming nearby of “Carry On Up the Khyber”? No unfortunately not, wish we had though!! Didn’t know anything about it… until now. How intriguing! Like you said, looking at the mountain and beautiful scenery and you would never know what’s down inside. Interesting post! So great they put it inside the mountain and didn’t spoil those wonderful views. How fascinating! This isn’t the sort of place I’d think to visit but I am very intrigued about the idea that it’s in the mountain and the setting is so gorgeous! Going into the mountain to a power station appealed to me, the machinery and all that… well it was ok. But you’re right about the setting, even on a dreary wet day it is still incredibly beautiful. Would like to go back and see it on a sunny day now!! What a great feat of engineering! Sounds like it was pretty interesting to go inside the mountain, and it’s much less of an eyesore that way. That landscape would look completely different with a gigantic power station plonked on top of the mountain, great that it’s hidden away!! It was interesting and a unique experience for sure. It’s fantastic that they could build a power station without mucking up the landscape too much, and it is a lovely landscape from what I can see in your photos. Hoover dam is a modern marvel, but the smooth concrete and giant turbines are an interruption to the rugged beauty of the area. Never been to Hoover Dam (yet!!) but would love to see it. I get what you mean about the disruption to the landscape though and loved what they did here. 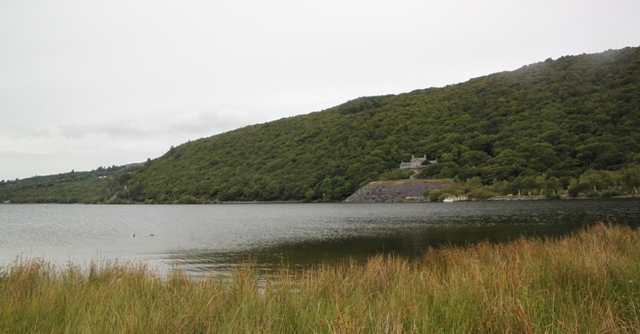 It’s a gorgeous area, it would be totally different with a huge power station plonked on top of that mountain. Joy, what a different type of trip! My son would have loved it when he was young! I remember our visit to Hoover Dam when he was about your son’s size! Boys like those kind of things, don’t they! You are a good Mom to plan this trip! Blessings! Now Hoover Dam – that is somewhere we’d all absolutely love to visit Pam!! One day…. What a fascinating place Joy. It’s a shame you weren’t allowed to take any photos inside the place 😦 It is a great improvement in appearance than some of the hydro electric dams you see. Absolutely – you wouldn’t be able to tell what was going on inside that mountain if you didn’t know!! I think it’s great they kept the landscape untouched. I would have liked to take photos inside, but to be honest they probably wouldn’t have been too great, machines and the idea of it all was really interesting, not sure how interesting the pictures would have been! !